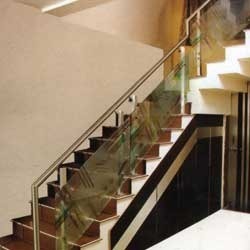 One can avail from us a quality approved array of Wooden Staircase Baluster. The Wooden Staircase Baluster is suitable for various industrial applications. These products are made accordingly to meet tremendous quality standards set by the industry. Tanzania teak is a premium teak next to sudan. Owing to our enriched industrial experiences, we are committed towards providing a wide variety of excellent quality FRP Staircase.